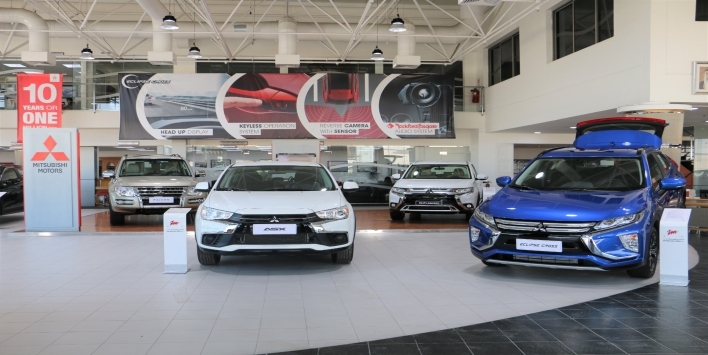 Sharing the joy of the new year, Zayani Motors, the exclusive distributor of Mitsubishi in the Kingdom of Bahrain, announced a bundle of irresistible offers on its 2019 SUVs, granting its clients a great beginning of the new year. The offer provides exceptional value on Mitsubishi SUVs, giving customers the chance to own one of four excellent options at unparalleled discounted prices. It comes as part of Zayani Motor’s commitment to providing its customers with only the best services and offers in the Kingdom, making it the pioneering automobiles dealership in the region. The models included in the offer are the Pajero, Outlander, Eclipse Cross and the ASX. One of the most reputed SUVs worldwide for its powerful performance and prestigious features is the Pajero, which is now sold for prices starting from BD9,999, while the robust Outlander, known for its sleek lines and exceptional performance, is now sold for prices starting from BD7, 999. The offer also includes the newest member of Mitsubishi’s SUV family, the Eclipse Cross, which merges innovation of design and exemplar functionality. The price of the Eclipse Cross now starts from BD8,199 only. The fourth model included in the offer is the world’s most favorite small SUV, the head-turning ASX, which is the bestselling in its category. The ASX is now available for a price starting from BD6,499. All cars included in the offer come with 10 years or one million kms warranty. Those interested can contact the Zayani Motors’ showrooms for further details on +973 17 703703 in Sitra or on +973 17 465 533 in Arad.